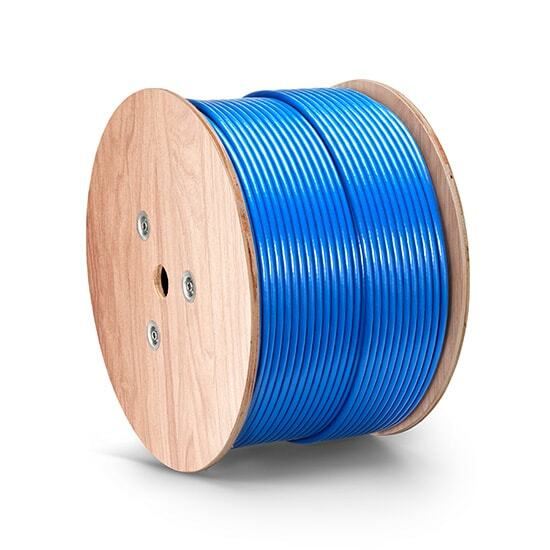 Copper cables are regarded as the optimal solution for data center, which provides significant benefits in the respect of capital expenditures, operating expenditures, performance, and reliability. Pre-terminated copper cable assemblies, emerging as a new copper cabling option for network architectures such as MoR (Middle of Row) or EoR (End of Row), are recommended for interconnect and cross-connect applications in data center. 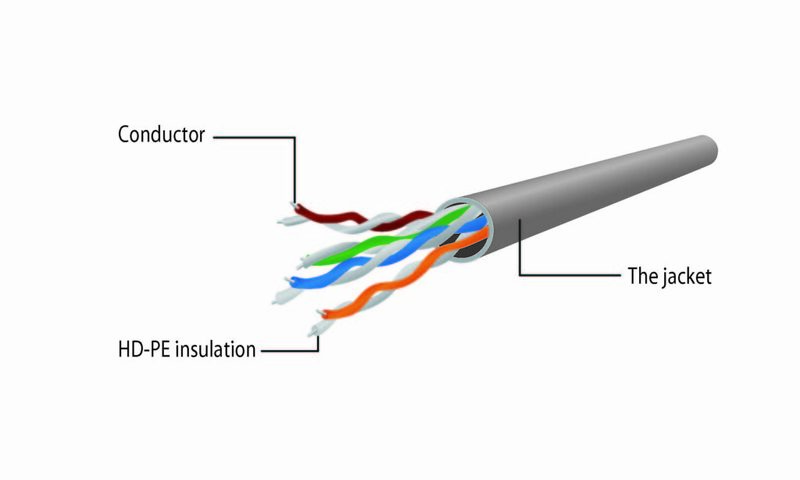 What Is Pre-terminated Copper Cable Assemblies ? 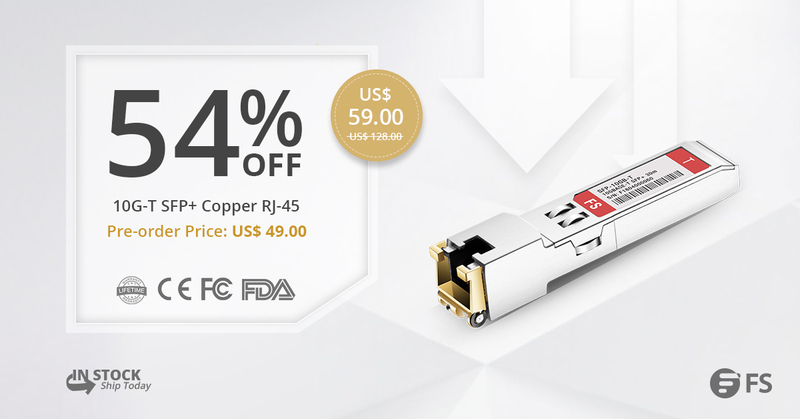 Pre-terminated copper cable assemblies consisting of pre-terminated copper trunks and copper patch cords (usually terminated with RJ45 connector), are ideal for data center applications which require high-efficient deployment. Being factory pre-terminated and strictly tested, the pre-terminated copper cable assemblies simplify network installation and maintenance, saving users much time and energy. 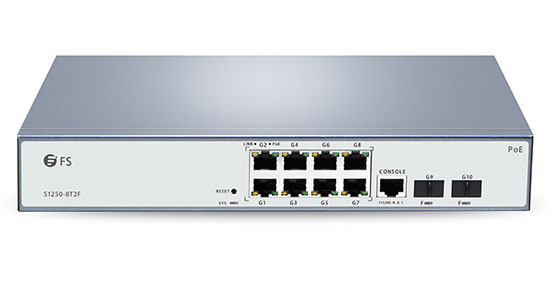 Moreover, they offer more flexibility to be disassembled and repurposed to accommodate MACs (moves, adds and changes), facilitating management when rapid network growth and migration required. 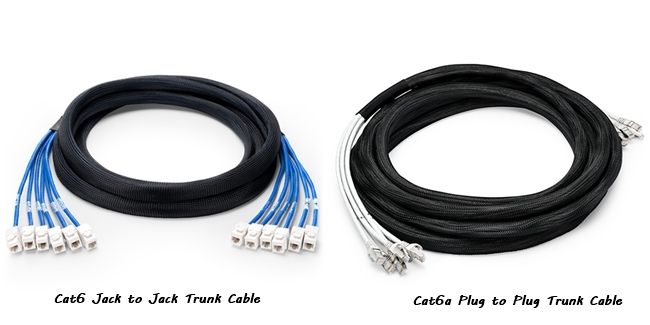 Commonly used in point-to-point connections in data centers, pre-terminated copper trunk cables enable reliable connectivity between server and switch cabinets. 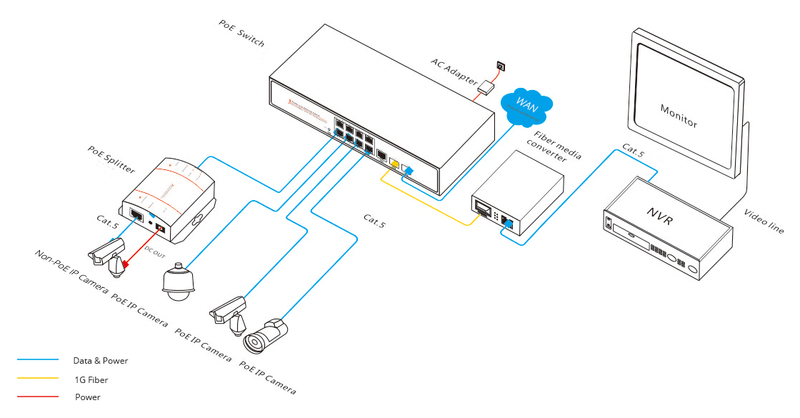 While copper patch cords are used to connect panels to switches and servers. Moreover, intelligent patch cords are available to monitor port status. Tips: various termination types are available for the pre-terminated trunks, such as jack-to-jack, jack-to-plug, plug-to-plug, cassette-to-cassette, and so on. So, your choice should base on the layout of the data center or telecommunications room, and the design philosophy employed. How to Use Pre-terminated Copper Cable Assemblies? 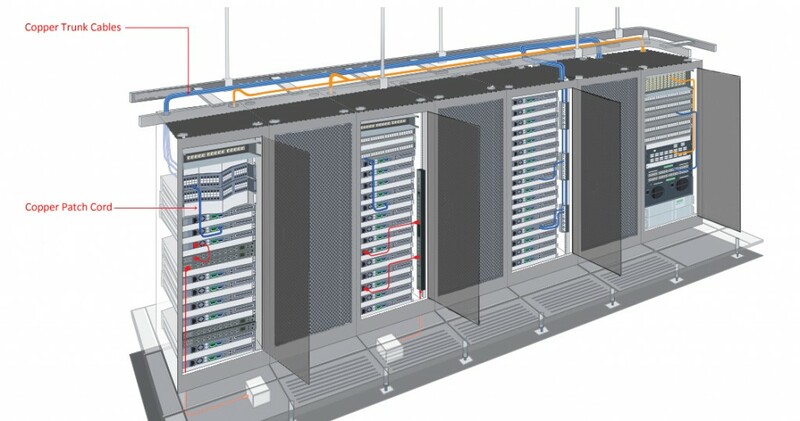 Pre-terminated copper cable assemblies can be used in data center for backbone or intra-rack cable connectivity. 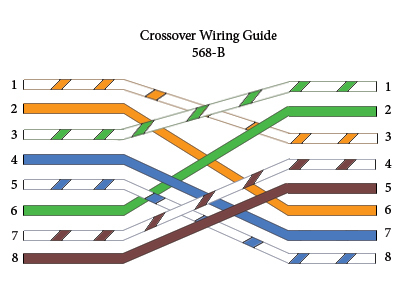 This section illustrates the interconnect and cross-connect connectivity using pre-terminated copper cables in universal data center cabling applications. 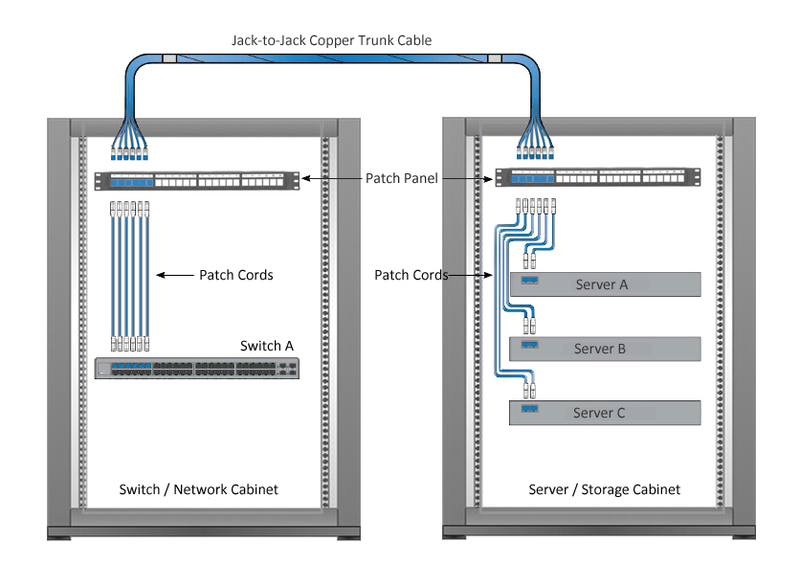 For general data center cabling, copper trunk cables are used to make a permanent link between patch panels on each ends—one end is in a switch/network cabinet, and the other end is in a server/storage cabinet. 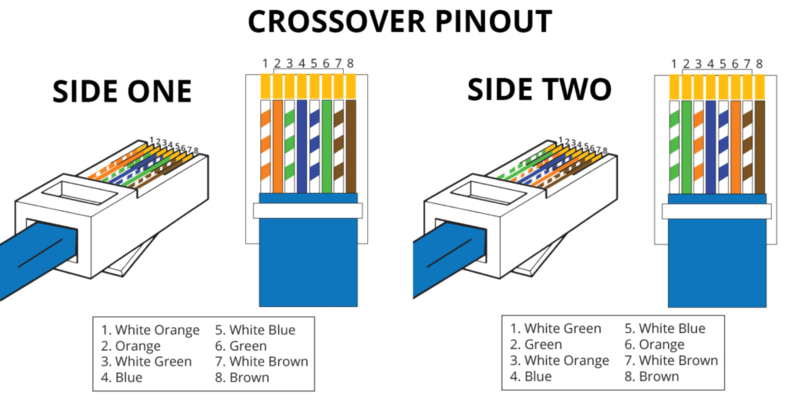 And patch cords are usually used to interconnect the active equipment such as switches, servers, etc. 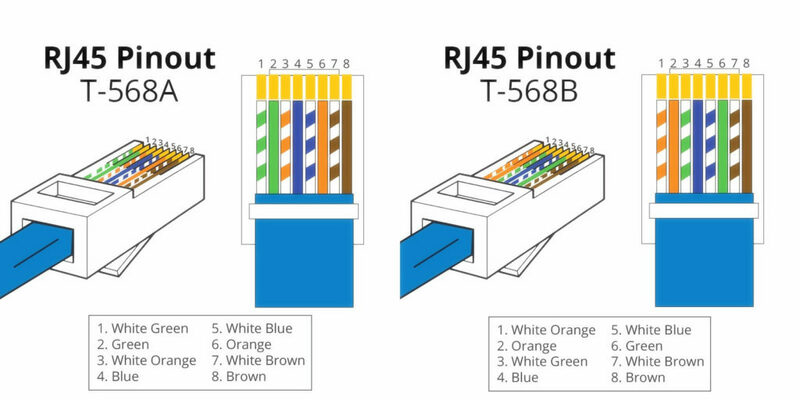 In cross-connect cabling configuration, an individual patching area (often including two or more adjacent patch panels) is usually added between the switch/network cabinet and server/storage cabinet. Thus, two copper trunk cables are used as two permanent links between them. 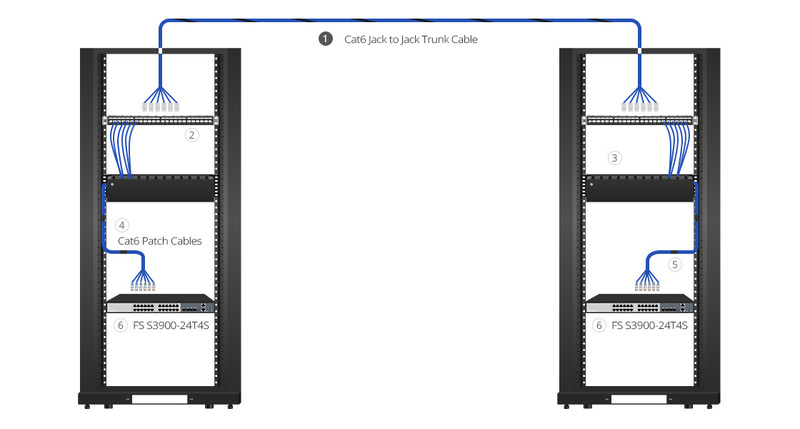 One runs from the switch/network cabinet panel to cross-connect panel, and the other one runs from cross connect panel to the panel in the server/storage cabinet. 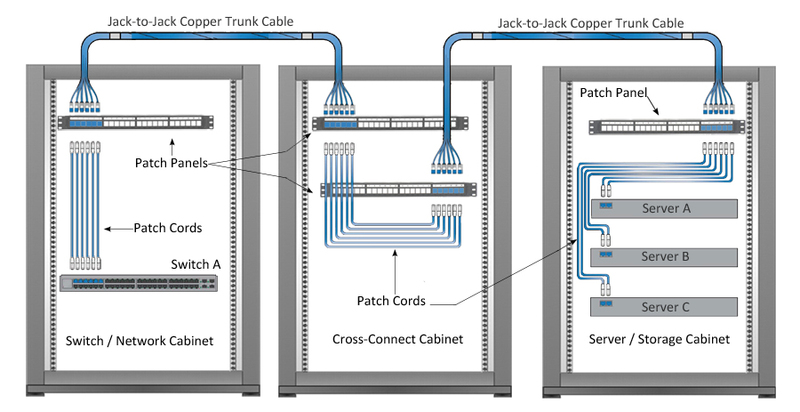 Copper patch cords are used to interconnect the active equipment and patch panels at the switch/network cabinet, cross-connect cabinet, and server/storage cabinet. 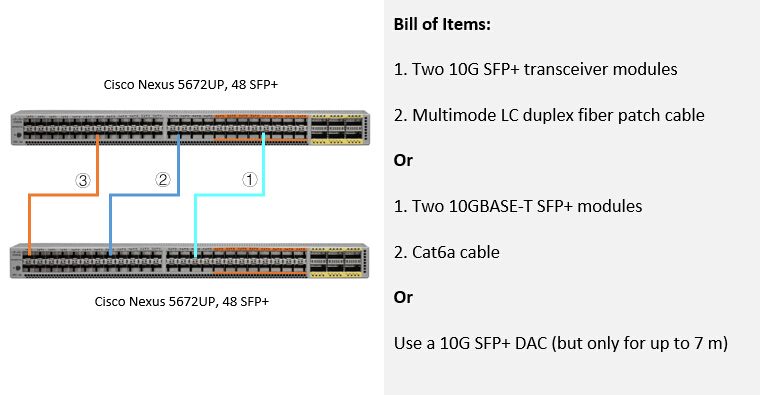 FS.COM offers a wide range of configurable pre-terminated copper cable assemblies and patch panels to meet the demand for faster deployment and guaranteed performance in data center copper cabling, help saving time and money. 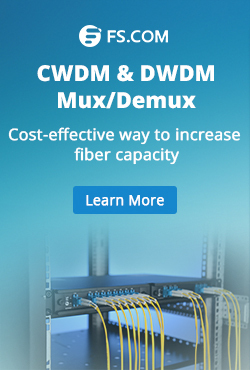 Pre-terminated copper cable assemblies offer an ideal solution for data center interconnection and cross connect applications. 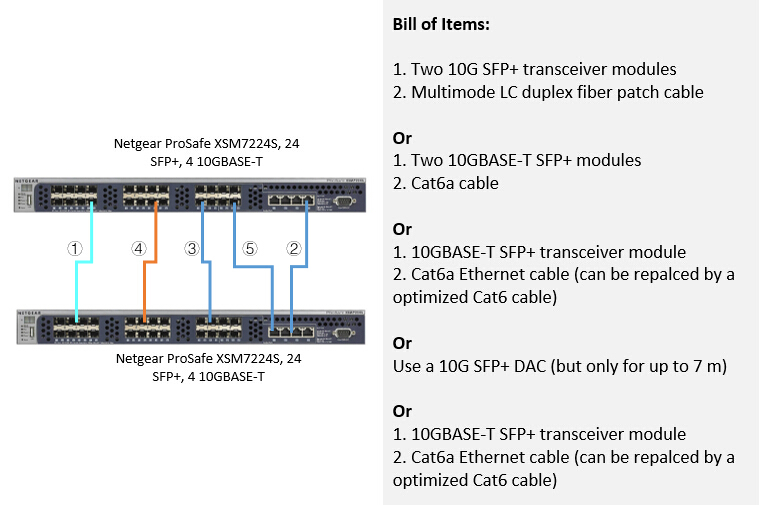 All the pre-terminated copper cables, patch panels and related accessories presented in the above chart are available in FS.COM. 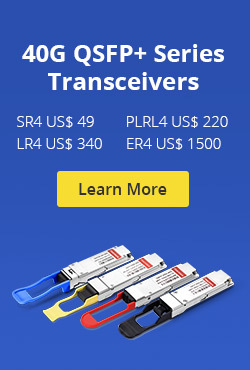 For more details, please visit www.fs.com for contact us directly via sales@fs.com. This entry was posted in Copper Network and tagged cat5e patch cord, cat6 patch cord, cat6a patch cord, cat7 patch cord, Pre-terminated Copper Cable on June 2, 2017 by Admin.